Center of non formal Education AENAO (Greece), KBM Consultants Ltd (UK), EURO-NET (Italy), SPOLECZNA AKADEMIA NAUK (Poland), Postal 3 (Spain), KIRSEHIR VALILIGI (Turkey), MV INTERNATIONAL (Italy) and ASOCIATIA MILLENIUM CENTER ARAD (Romania). Caritas Refugee Centre (https://ww w.facebook.com/CaritasThessaloniki/, https://www.caritas.org/where-caritas-work/europe/greece/). This humanitarian organization was founded in 2007 by the Catholic Church and is located in the city centre; supported by Caritas Europe which has organizations in 46 European countries. 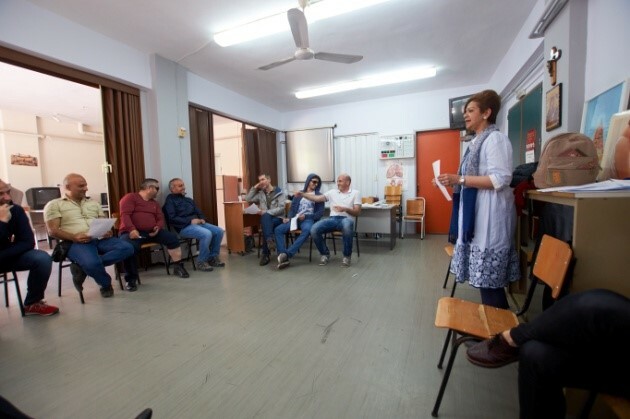 The centre supports refugees by providing courses such as Greek language and ICT. They also provide councelling and housing for refugee families. Educational Authority of Thessaloniki. The Ministry of Education Research and Religious Affairs in cooperation with international organizations such as UNICEF, UNHCR and IOM started in 2016-2017 the educational integration of 3,500 migrant children aged 6-17 in public schools, in specialized afternoon (reception) classes. For the academic year 2017-2018, the Ministry aims to integrate all refugee children in school putting emphasis on the gradual integration to morning zone classes. Specialized reception afternoon classes will be maintained, where necessary, in order for all children to have access in education. According to the Ministry, 2,493 children aged 6-16 living in urban accommodation have already enrolled in schools throughout the country in all school levels and this number is still growing. When the project is completed, almost 1.000 schools in Greece will provide education to refugee children. UNHCR – Thessaloniki. UNHCR presented the operational overview in Greece; the arrivals of refugees since 2014 and the relocation scheme (as established in September 2015). The presentation also included UNHCR’s operation in 2017 and 2018 onwards regarding asylum procedure, housing and cash assistance of refugees. According to reports, 19% of refugees taking cash assistance are located in Thessaloniki, while 42% currently live in Athens. Emphasis was given in the operation for refugees up to 6 months after receiving asylum, accommodation and cash assistance; however no data is yet available on the process when the assistance of the period of 6 months is over. Alkyone Refugee Centre (https://www.facebook.com/alkyonedaycenter/ Refugee Center). This day centre is an Ecological Movement of Thessaloniki initiative with the support of DiakonieKatastrophenhilfe. It provides breakfast and lunch to 100 vulnerable people daily – including refugees – access to washing and drying machines, workshops and seminars for skills’ development, counseling, clothing distribution and limited time housing in apartments. 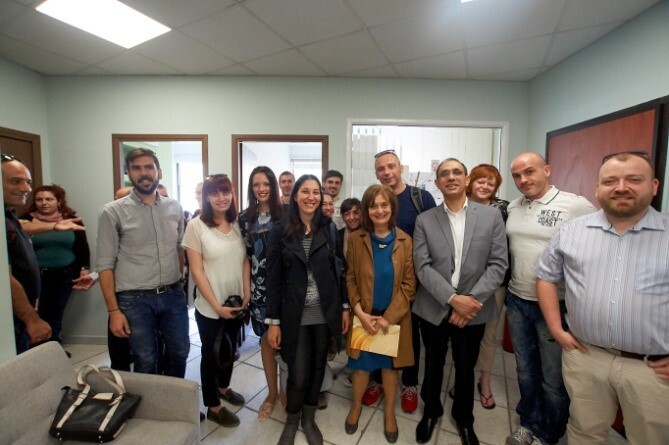 In addition, volunteers and staff of Alkyone organize activities and events aiming to cultural exchange, communication and interactivity between refugees and the local community. Health Centre of Thermi (https://www.facebook.com/kialli.thermis/). A public health centre which is located in the suburbs of Thessaloniki. The medical staff treats both insured and uninsured patients and of course many refugees, since there are apartments nearby which are rented to refugees. 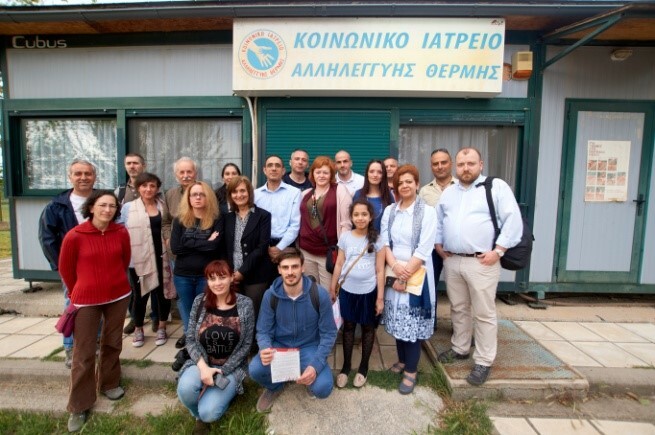 Solidarity Health Centre of Thermi (http://kiallithermis.gr). A medical centre developed by volunteers and operated by volunteering doctors and psychologists. The centre is addressed to anyone however priority is given to people who have no access to health care – Greeks or refugees. Everything related to the medical centre is based on donations, i.e. pharmacies donate drugs, electricity bills are paid from the community of Thermi, etc. Finally, the centre supports donations of all kinds, such as first emergency essentials in prisons, furniture in poor families etc. The participants were trained during a Workshop using NFE in the Theatre of the Oppressed (also known as Forum Theatre), by Augusto Boal. The technique includes a typical session (act) that focuses on oppression or a problem. The structure of the act involves a Protagonist (the oppressed person) who is defeated or frustrated by the Antagonist (the oppressor). The act is played once. Then it is played once more; this time the audience can interfere and change the role of the Protagonist.